The following have been reported infrequently with the use of this cream: burning, itching, dryness, irritation, acneiform eruptions, hypopigmentation. Itching, irritation, dryness and a burning sensation on the area of application are the commonly noted side effects. Sometimes it is also found to suppress the production of cortisol in the body. Application of this medication is not prescribed in pregnant animals as it can induce fetal abnormalities. After applying this medication, do not cover the area of application with adhesive bandages or plastic wraps. It is also advised not to use this medication along with other dietary supplements, herbal preparations and non prescription medicines. 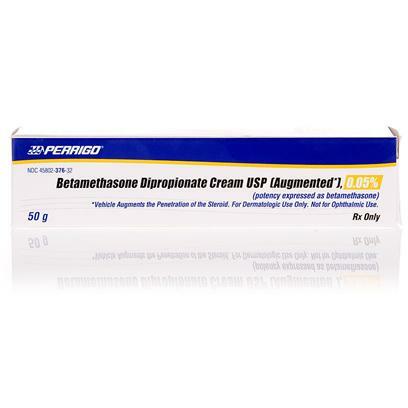 Patients with past history of allergy to other corticosteroids should avoid using betamethasone dipropionate.